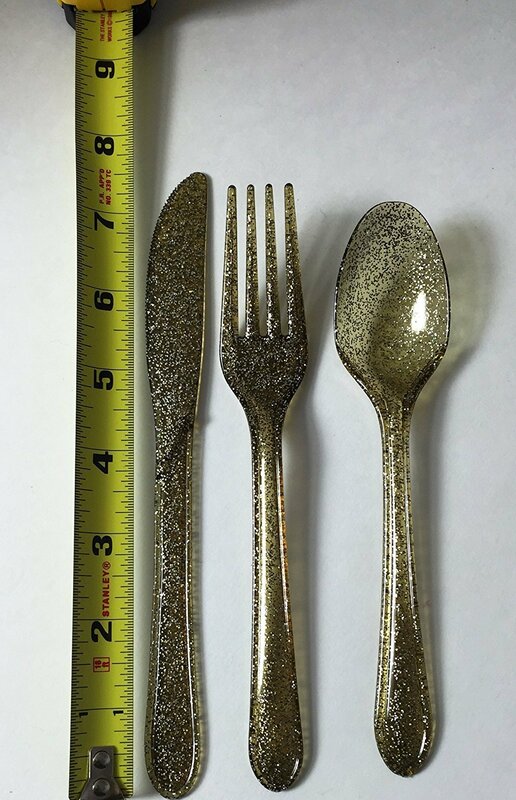 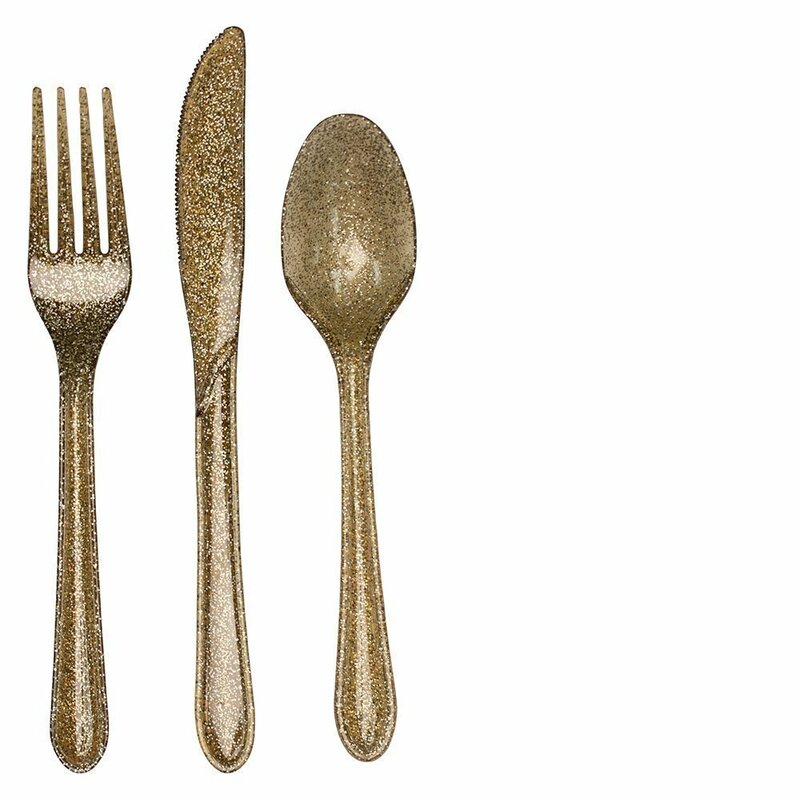 Liven up your event table settings with our Gold Glitter Plastic Cutlery Assortment. 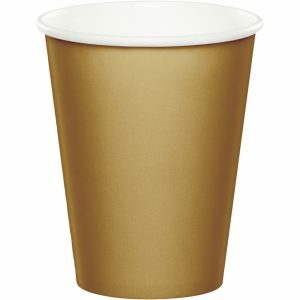 Premium plastic construction. 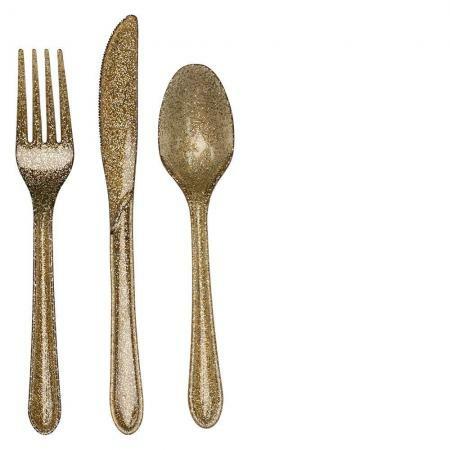 48 piece set that includes 16 forks, 16 spoons, and 16 knives. 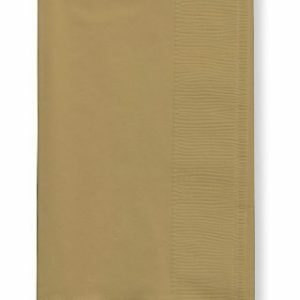 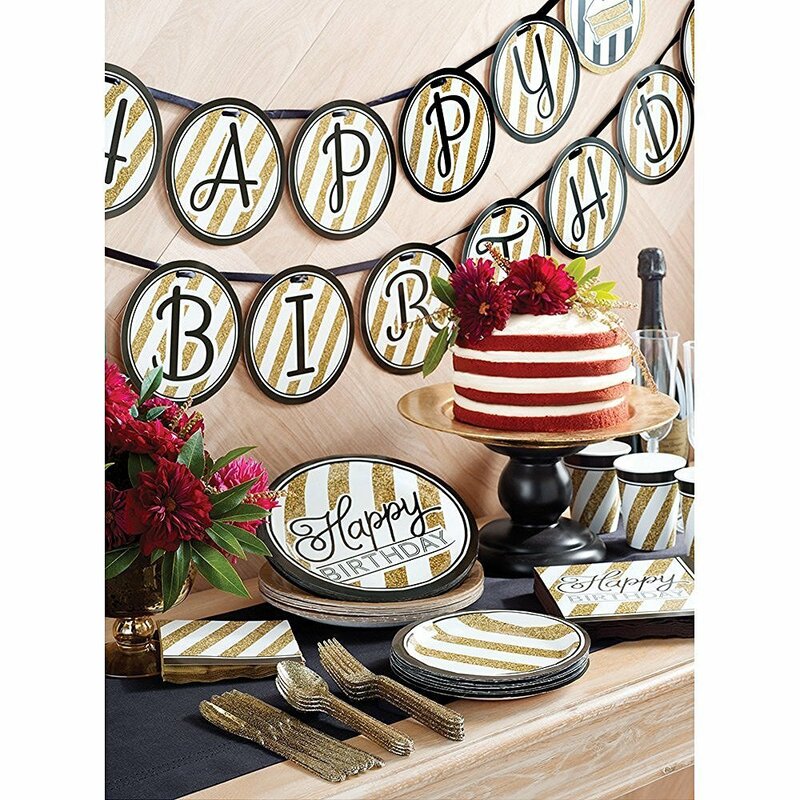 Super durable enough to handle just about any party menu. 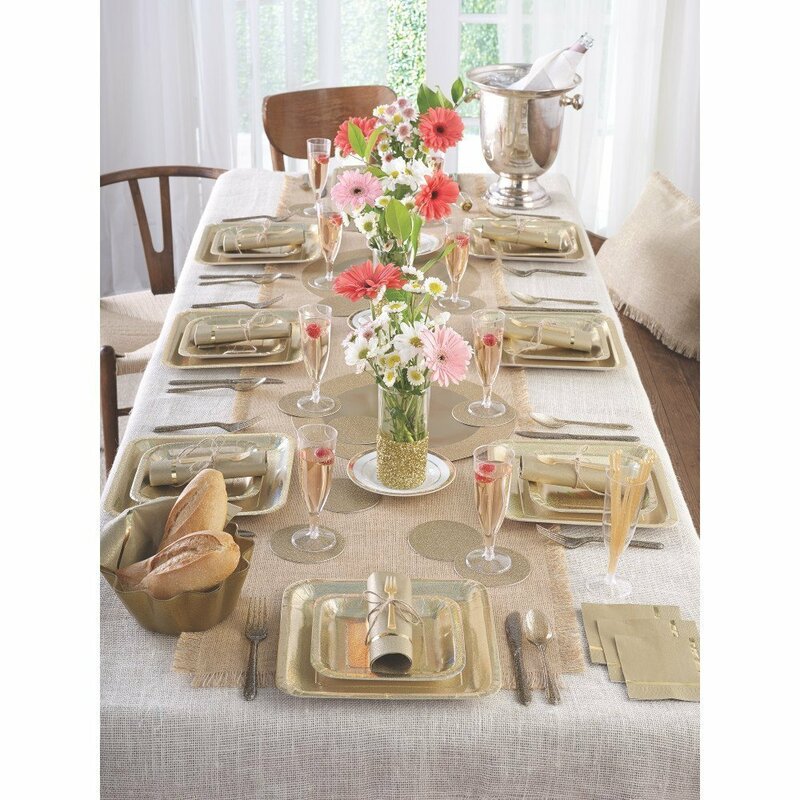 Perfect for bridal showers, wedding receptions, and holiday parties. 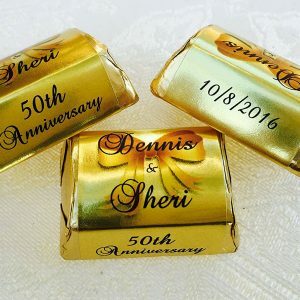 90 Gold Foil Personalized Bubble Tube adhesive labels stickers for Wedding, Anniversary, Bridal Shower, Party Favors. 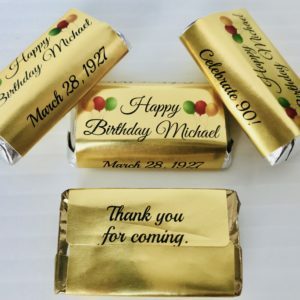 72 Gold Foil Birthday Personalized Candy adhesive wrappers for your HERSHEY MINIATURES to make your own Party Chocolate Favors. 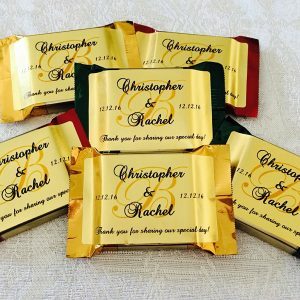 90 PERSONALIZED GOLD FOIL MONOGRAM WEDDING STICKERS-LABELS that fit YOUR GHIRARDELLI CHOCOLATE SQUARES. 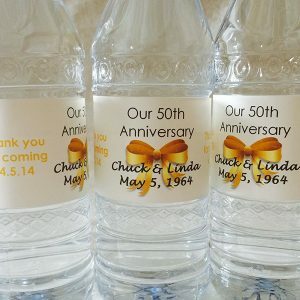 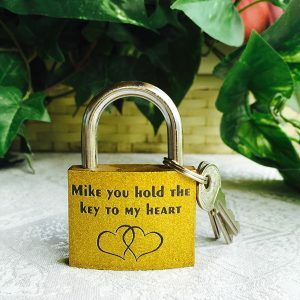 Makes unique party favors.